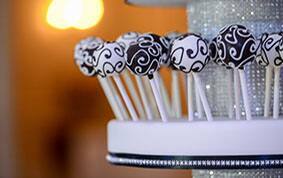 If you want to give your guests an easy and accessible way to enjoy your wedding cake, consider cake pops instead of the traditional setup. 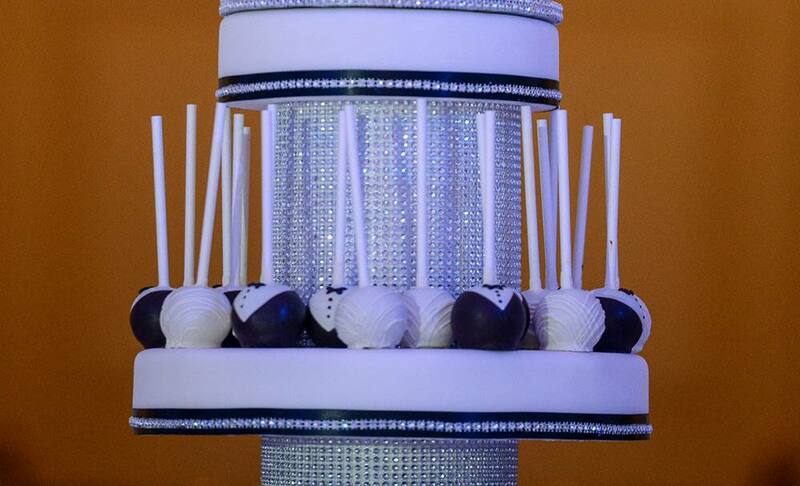 On the go or right away, cake pops allow more flexibility...and are just plain cute. This week's color palette is classic black and white with hints of bling that stand out even in the gorgeous American Adventure Rotunda. 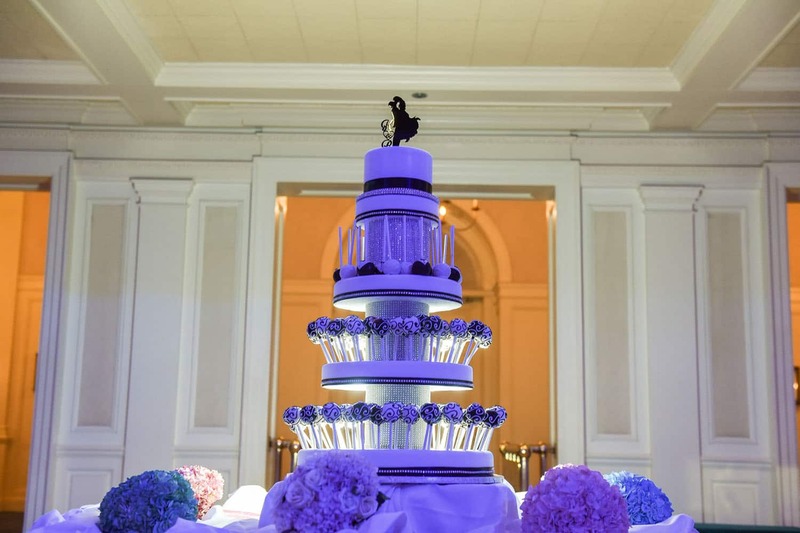 We love that this bride and groom are still able to share their top tier (anniversary cake, anyone? 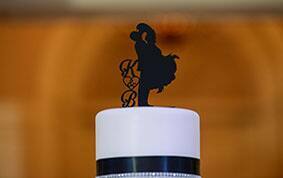 ), which supports the adorable personalized cake topper.